New Year’s Eve can be tricky. Expectations are high to finish off the new year with a bang, and if you commit to something, the pressure is on to make sure it’s worth it! 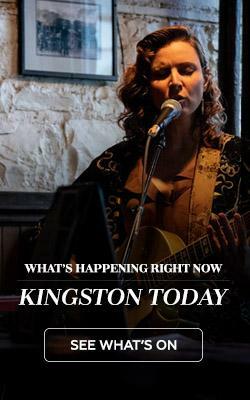 Don’t worry, though – I’ve compiled this list for anyone looking for New Year’s Eve fun in Kingston – from the young person on a budget to the family with small children – there’s something here for everyone! If you’ve got small children that you want to include in the magic of New Year’s Eve but don’t want them out past their bedtime, this list is for you! Here are a few options in town for you to celebrate with your youngins. Upper Canada Village: Take a stroll or take a ride on a life-size Toy Train through the village to see more than a million lights dress the heritage buildings and trees. This venue is sure to make young and old alike look on in absolute amazement. Learn more at uppercanadavillage.com. Playtrium: Get the party started as early as 10:00am at the Playtrium! Games, prizes, face painting and lots of entertainment from surprise guests like Minnie and a Minion. Ball drops at noon. K-town Countdown: Enjoy live music while skating on the same ice as our beloved Kingston Frontenacs at the K-Rock Centre! Bundle up if you want a wagon ride and to enjoy fireworks at 9pm. Time: 5:00pm – 9:00pm. Learn more here! Do you like to dress your best while sipping bubbly or cutting into a juicy prime rib? One of these events might tickle your fancy! BLUMartini New Year’s Eve: Dress up for dinner, live music and dancing at the BLUMartini with a live performance by the Soul Survivors and a DJ. Tickets are $50. Call to order: 613.766.8880. Learn more on Facebook. Denim and Diamonds: Enjoy a light evening buffet, party favours and live music by Ambush at this country themed New Year’s Eve celebration. Doors open at 7:30pm and tickets are $47. Learn more at evensi.ca. Zorbas Dinner and Dance: Bring an empty stomach and your dancing shoes to Zorbas for their New Year’s Eve Gala. The cocktail hour starts at 6:30pm, the buffet will serve grilled chicken and prime rib starting at 7:30 pm and the dance – lead by a DJ – will follow at 9:00pm. Tickets are $49.95 each. Learn more at zorbaskingston.ca. Want to ring in the new year without breaking the bank? The traditionally pricey night doesn’t have to cost a fortune. Below are a few affordable and even a free option! Rocking Karaoke: Sing your heart out while you roll in the new year at Kingston’s beloved pub, the Portsmouth Tavern. No cover, no inhibitions. Learn more at localendar.com. Absolute Comedy: Have the last laugh of 2016 at a stand up comedy show! Comedian Brendan Mckeigan will be headlining at 7:30pm and 10:00pm. Tickets are $30 each. Learn more at absolutecomedy.ca. Rain Kings at Raxx: Listen to live music at Kingston’s biggest pool hall. The Rain Kings will be performing on December 31. Tickets are $10 for just the band and $29.95 if you would like to upgrade to a meal of chicken cordon bleu, vegetable lasagna or prime rib. Learn more at raxx.ca. Of course you can find a delicious meal on New Year’s Eve in this foodie-friendly city. There’s no better way to say goodbye to 2016 than with a full belly! 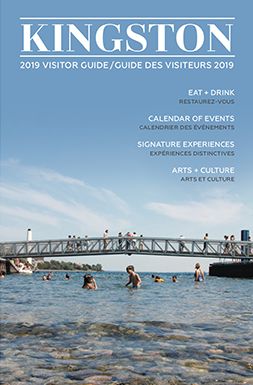 Keep your eyes on local spots for listings of their pre-fixed menus: Chien Noir, Chez Piggy, Grizzly Grill, Atomica, Tango Nuevo, Olivea, Casa, Dianne’s Fish Shack and Smokehouse and Aqua Terra. Prices vary. For the person who wants to begin the new year, clear-minded and care-free! This opportunity might be perfect for you. Yoga Retreat in Picton: Travel a little west for some well deserved meditation and rest with this special NYE yoga retreat. Starting Dec. 30, for two nights at Lake on the Mountain, treat yourself to fresh vegetarian meals and yoga with Lift Yoga’s founder Caitlan Carver. Prices range from $100-$490. Learn more at eventbrite.ca.